DAVID LE/Staff photo. 5/20/15. 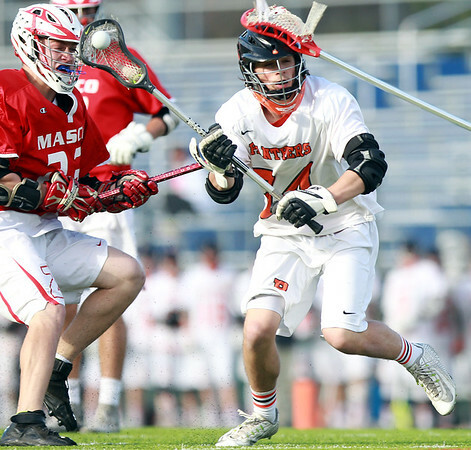 Beverly junior midfielder Jordan Rawding (34) tries to get off a shot while being pressured by Masco junior Scott Foden (23).